Click on Become a tester to enable the Beta version to download. Download Deezer from the Play Store to update your app. Note: you can leave the beta programme at any time. Simply select Quit the test version on the Play Store. 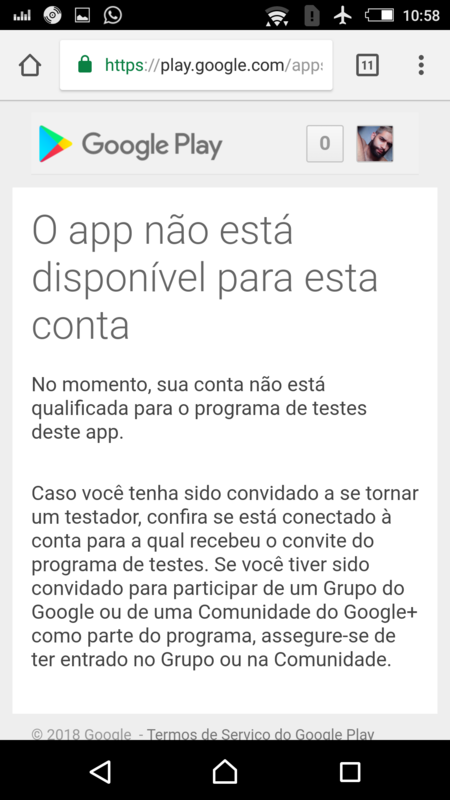 if i klick your link to become a tester Play Store tells me that i am not allowed to use/join the beta program and hints me to google+. But on google+ new members are not accepted. Hi there, that's strange. What's the exact error message? And have you tried to log out and back in with your Deezer account email address on browser? Dein Konto ist derzeit nicht zur Teilnahme am Testprogramm für diese App berechtigt. Wenn du zur Teilnahme am Testprogramm eingeladen wurdest, solltest du darauf achten, dich mit dem richtigen Konto anzumelden. Falls du zu einer bestimmten Google-Gruppe oder Google+ Community eingeladen wurdest, solltest du außerdem nicht vergessen, zunächst dieser Gruppe bzw. Community beizutreten. Your account is currently not eligible to participate in the trial program for this app. If you have been invited to take the test program, be sure to sign up with the correct account. Also, if you've been invited to a specific Google Group or Google+ community, do not forget to join this group or community first. And yes, i am logged in with the same email address. it's the same message you got, when you didn't join the beta group in google+ before. i am using the beta app via apkmirror now, dunno if that has somethin to do with it. my wife gets the same error message. H there, sorry for the late reply. We're trying to figure out what could cause this. I'll let you know as soon as we know more. Thanks a lot for your patience! @AnZu Seems as if there was an issue with the Google+ sign up. Could you try again now? Hi Anja, is there a way to become a Beta-Tester without using Google+? I don't have an active profile there right now. 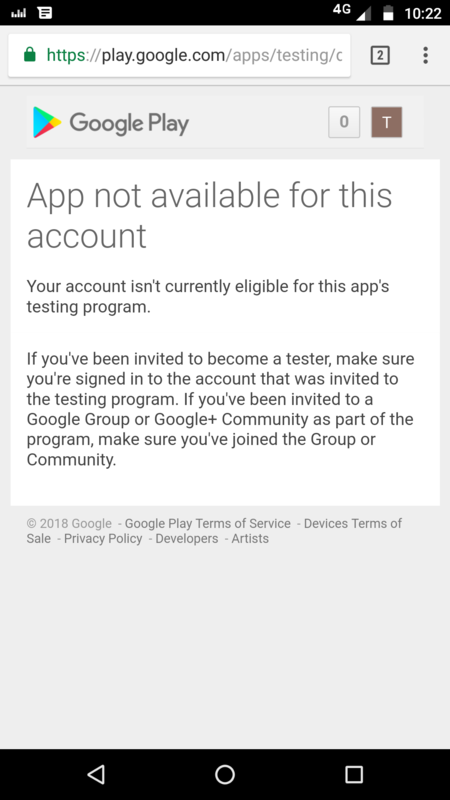 Hi Anja, I have the exact same issuue, I can't sign up as beta tester. 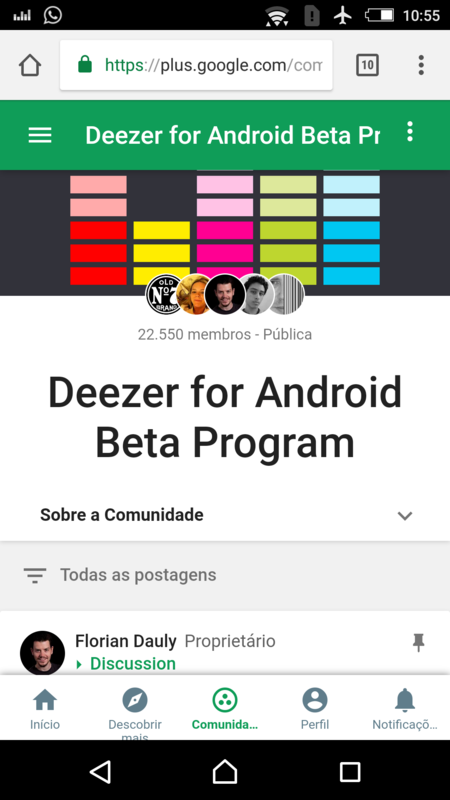 You need to sign up to the Google+ Deezer for Android Beta Program community to be able to become a Beta-Tester (with the same account you are signed in on your device). If you have feedbacks you can share them on this forum (not on the Google+ community). Thanks again for helping us improving the Deezer Android application! Hi @Luis Gomes have you tried to go through the steps at the top of this topic? Yes. It doesn't work. Thats because the G+ community is closed i think. According said above. Is there a beta app for Android? How do I sign up? Are you saying the signin email address to Deezer must be the same as the Google Play Store signin? I hope not. Hi @Flo can you help @Captain_Eric on this issue? The G+ community is not closed but the link is not working if you're not part of our Google+ community. It should work, just tell me if you still encounter issues in the process. I have a quick question.. if I have a family account (I'm the master profile) and I choose to be a beta tester will all the other profiles be affected that use android? The beta profile is linked to your google account, it's part of the google ecosystem, not deezer's. Therefore it will not affect the other profiles of your family account. the community is causing conflict with accounts. @Sávio Monartz this looks strange indeed, I can see you in the community. Can you check your account is still active in the community? And that you were signed in with the same Google account when clicking on the link to join the beta user program? This should be the same account registered on your device in order to download the beta version from the Google playstore. Iam active beta tester, but I dont receive update on beta. Why? @Throony the new beta version was released today, this should be available by now.